Since beginning my journey of working for a bully, one thing that stands out the most in the abusive category is how my boss is verbally abusive. In my long career, I have never encountered a boss who spends so much time and effort yelling and demeaning others. Sadly, it isn’t just me that he is verbally abusive to. His clients suffer the abuse as well. It is not uncommon for me to be sitting in my office and the boss is in the conference room with the door closed. Keep in mind this conference room is not near my office, it is at least 100 feet from where I am. But I can hear every word he is saying because he is yelling. He is either on the phone yelling or he has a client in the room with him and he is yelling. I never hear anyone else, not a word from the client. They sit there stunned but they take it. Don’t ask me why. They are actually paying him to be abusive to them. I believe it is simple, pure intimidation on his part and that is why the clients will not stand up for themselves. I can’t even count how many times a client has approached me in confidence and told me they are unable to have a professional conversation with him because he just won’t allow them to speak. He will be rude and offensive and often uses foul and extremely unprofessional curse words. It doesn’t seem to matter to him who he is addressing or how they might feel about being spoken to in this manner. The bully boss also lies. I’m talking flat out lies. If it suits him, he will do it and without hesitation. He has no qualms about it and it obviously does not bother him. I have actually heard him call people stupid. He has a tendency to repeat, over and over and over, the same thing. If someone didn’t understand it the first time, chances are they aren’t going to understand it the fifth time. Rather than trying to express whatever it is he is trying to express differently, he just says the same thing over and over. If the person he is talking to doesn’t get it, somehow it’s their fault, not his. And he will start putting them down and either directly or indirectly makes them feel they are stupid. Sometimes he just says it to them. Imagine hiring a “professional” to help you in an emotional situation and you hire someone who yells at you and calls you stupid. What is wrong with this picture? There have been a couple of male clients that I thought were actually going to hit him. I’ve seen them turn red and get very agitated. Rather than backing off though, the bully boss just yells even louder. Maybe one of these days someone will punch him in the face, but so far, none have. The female clients really break my heart. They try to do what they think he wants but of course that is never right. They get frustrated and then emotional. Most end up crying. He will hand them a tissue box but glares at them because they are “emotional” women. No comfort or support is ever given. As for yelling at his staff members, this makes his day. There is almost a gleam in his eye when he is berating someone. His ego mixed with cruelty makes a bad boss. I used to try to defend myself but I finally figured out that this seems to fuel the meanness. Now I try very, very hard to ignore the tantrums. This isn’t easy for me because I am a strong, independent woman. All I can say is, at least I have never cried in front of him. I am proud of that fact. Yes, I go home and cry, sometimes sit in my car at noon and cry. But… I don’t cry in front of him! The light at the end of the tunnel for me has been that I decided to look for a job that I could do from home. I am too old to get another job but I’m a long way from not being able to work. I just needed to find something that I could do that would bring me income for my retirement years. As I am sure many of you know, finding legitimate “work from home” opportunities on the internet is extremely difficult. I was taken by a few scams. I hate to admit it but I was. But I learned what to look for and one day I came across Wealthy Affiliate. It sounded like something that would be perfect for me. I could start it now and learn how to create websites. My plan has been to get one or two websites up and running and when they started to make money, I could get away from the verbally abusive boss. What a great platform I found! They not only teach you “how” to build a website, but they go above and beyond by offering so much training it is incredible. 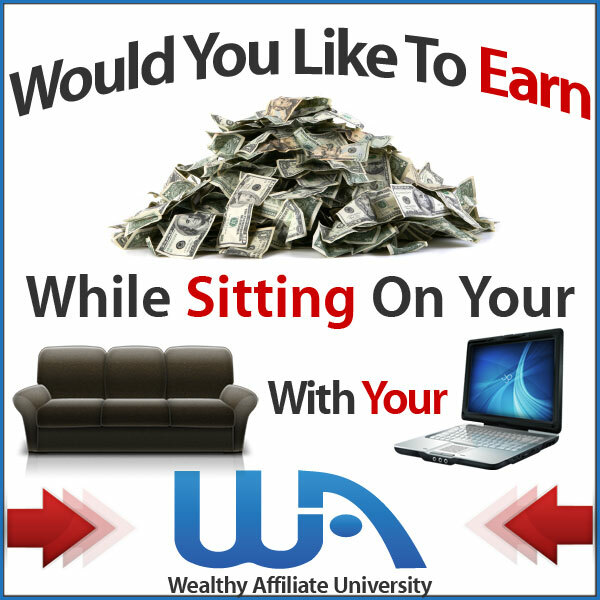 There are a LOT of members at Wealthy Affiliate and believe me, this community is wonderful. They are there to support and help ME! No question is too ridiculous and answers are immediate. The website that you are looking at right now was created with the training and support of Wealthy Affiliate and I am proud of my achievement! One other thing I would like to mention. Dealing with a workplace bully and a boss that is verbally abusive has caused my physical health to deteriorate. In fact, it got so bad that I was finally diagnosed with ulcers and PTSD. The prescriptions my physician wrote had side effects that made it very hard for me to take them. One day a friend of mine asked me if I had ever heard of CBD Oil. I did some research, decided to order the product to try, and I am amazed at the results. No more stomach pains and my stress and depression seem to be completely under control. I can now focus on my end goal – get away from the workplace bully! If you are having problems with your health and the medications you are taking, please check out CBD Oil here. I hope it helps you as much as it has helped me. Finally, in closing, I want to ask that anyone who is reading this blog that is facing the ordeal of working for a bully to please reach out by leaving a comment below. I truly want to help you if I can and support you through your difficult experience. Together I hope we can change how people think and deal with verbally abusive bosses. This is such a great post and all I can say is wow! I can really understand the need to start your own business and get away from such a bully. I cannot believe that he bullies the clients as well and they do not walk away. It sounds like he has intimidation down to an art. I think you have made a great choice to learn and grow with Wealthy Affiliate as they have an awesome opportunity for some one like you. I have had issues with bosses before but can’t say they have ever been as great as what you have to endeavor. Thanks for your comment! You are right, my bully boss has it down to an art! It’s one thing to work for the guy, at least I get a paycheck. But his clients are paying him! I can promise you I would never hire someone that treated me the way he does his clients. I would most definitely walk out and not look back. Once I am out of this job, I hope I run into some of his former clients because I really want to ask them why they put up with it. Until then I guess I’ll just have to wonder why. I really believe that my ticket out of here is Wealthy Affiliate and I am so looking forward to grabbing that ticket and running! Again, I really appreciate your comments and hope you come back soon! I have had similar experience. The yelling. The shouting. From a bully who was in a management role. Not even the boss. Just a management role. And the sad part is – the CEO condones it. He sees it as the VP doing her job. But which part of any job requires shouting and yelling at people. I agree with the client you mentioned. This is Not Professional. As I mentioned, it is not part of a job. It is not necessary to shout at people. Just discuss it like real professionals. Now, I no longer work full time for people. I still do part time work. And anyone who abuses me or bullies me at any of these part time work places, I walk. I may need the money to pay the bills. But I am so glad I have the option to walk. I have other part time jobs to replace any that I no longer wish to work with. Best of all, I am building and growing my online businesses like you. I look forward to the day when I can do those online businesses full time. Thanks so much for sharing your experience. It is hard to believe that in this day and age somehow yelling and shouting is still acceptable. It seems to me it would be so much easier to discuss things in a rational and coherent manner. What has happened to professional ethics? What is even more remarkable is that the CEO’s let it happen and as you said, even condones the behavior. I hope someday to look back on this experience and know I made it through it and out of it and am happy and contented in my new life! Thank you for your comments. I do appreciate your thoughts. Thanks for sharing your story, so sad to think people are going under this type of circumstances to work everyday in many countries and cities around the world today. Been there and done that, but I quit that job, today I have a part time job with a very nice lady who is my boss and we have been working together for almost 6 years and a half with not problem at all. Thanks so much for sharing your article, many people will love to know they are not alone and there’s always something to do to change their lives and live a better life. Thank you Alejandra for your comment! It is very sad to think that bullying is real and is going on every day everywhere. I am glad you got out of a bad situation and it sounds like you found a great one. You definitely did the right thing by getting out when you could and it is comforting to know there are actually great jobs out there! I hope to reach out to those being bullied and I hope this site will do that. Again, thank you so much for sharing. Thanks Kenny. I am in an awful situation but I have a true belief that my time here will soon be over and I can work from home with an online income. I know that better times are ahead and I am so looking forward to it! I appreciate your words of encouragement and again, thank you for your comment! What a heartbreaking situation to be in. I can’t imagine what it must be like to work so someone like this boss described in this post. It is totally unacceptable for a person to behave in this manner. It is a wonder the clients put up with it. It is very difficult for the staff who feel they have to put up with the bullying, or lose their jobs. Am so pleased that this person has found Wealthy Affiliate and is able to build herself a better, safer and happier life. My hope is that she does so well and is able to earn enough to walk out of the situation.she is currently in. How admirable that she is willing to help others in similar situations. Thank you Jill for your wonderful comment. It is hard to imagine that my boss’ clients put up with it but they do. I don’t think I will ever understand that. I am so happy to have found Wealthy Affiliate and am learning so much! I know in my heart that one of these days I will be able to say goodbye to the bully and work from home doing something I love to do. I truly do want to help others get out of the situation that I am in and I hope my website will help them. Again, thank you so much!